Drinks at my cousin's place. 2005 Petaluma Chardonnay Tiers - really, really ripe on the palate, maybe over-ripe... Nose was initially chalky and toasty, but the chalkiness faded and what remained was buttery and toasty corn. Maybe going downhill? 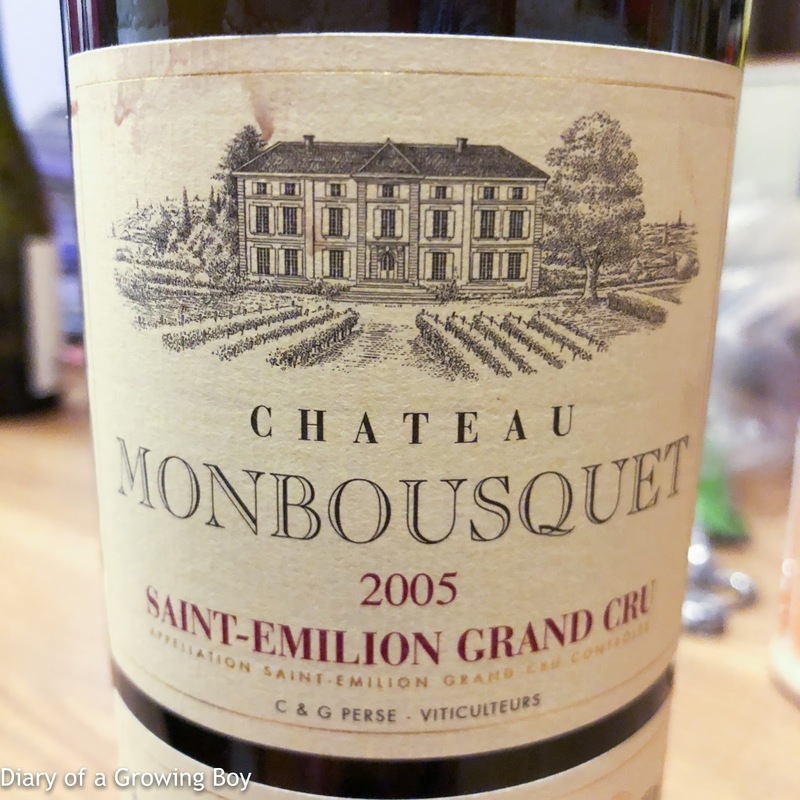 2005 Monbousquet - a little smoky, ripe black fruits, coffee, and chocolate notes. Pretty smooth now, but the palate was kinda flat with a short finish.